Lagos — Nigeria is mourning along with the rest of the world after the downing of Ethiopian Airlines Flight, which claimed all of the 157 lives onboard. The fatalities included people from 35 countries, 19 United Nations officials and two Nigerians, one of whom was regarded as Africa's leading academic and labelled a genius by many. Professor Pius Adesanmi and Abiodun Bashua, a retired career Ambassador, who was on contract with the United Nations Economic Commission of Africa (UNECA), are being mourned. Adesanmi, at the time of his death, was a professor at the Institute of African Studies in Carleton University, Ottawa, Canada. He was on his way to a meeting of the African Union's Economic, Social and Cultural Council in Nairobi. The award-winning writer held dual Nigerian and Canadian citizenship and made his mark in both countries and beyond. This has been manifested in some of the tributes that have been paid to him. 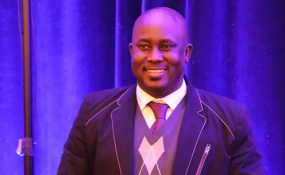 "The contributions of Pius Adesanmi to Carleton are immeasurable," Pauline Rankin, dean of the University's Faculty of Arts and Social Sciences, said in a statement. "He worked tirelessly to build the Institute of African Studies, to share his boundless passion for African literature and to connect with and support students," Ranking said, adding that: "He was a scholar and teacher of the highest calibre who leaves a deep imprint on Carleton." In Nigeria, tributes are pouring in for Adesanmi, acknowledging him for being a remarkable writer, literary critic, satirist, and columnist. Bayo Oluwasanmi, a newspaper columnist described Adesanmi as "a flaming writer with a fiery message of rebuke for the oppressive and wicked governments in Nigeria." Oluwasanmi further described Adesanmi as a "watchman with bravura and strong moral fibre committed to a strong sense of right and wrong," adding that he "writes with the supple grace of a swan and the boldness of a beaver." On Adesanmi's Facebook page one user, Yemi Adeeko, said: "Tribute to a genius Nigerian I never met." Another user commented on the photo that Adesanmi posted just before boarding Ethiopian airlines flight along with this comment: "If I take the wings of the morning and dwell in the uttermost parts of the sea, even there your hand shall lead me, and your right hand shall hold me - Psalm 139:9-10"
Atiba Oluwatosin said in response: "These last words depict your conscious awareness that your destination is a cross over to see your creator face to face. RIP Prof. Of Academics." Adesanmi's genius and great mind was indeed manifest in his regular newspaper columns and in his works. These include his book "Naija No Dey Carry Last." The book which is a collection of satirical essays, portray the decay in the Nigerian system, including the persistent lack of a government in the country. The book shows Adesanmi's ability to present serious issues in a light-hearted manner that leaves his readers laughing while at the same time feeling sober. The late academic was born in Isanlu, in Kogi State, Central Nigeria. He studied for his Masters Degree in Nigeria before going to the University of British Columbia where he bagged a PhD in French Studies in 2002. He joined Carleton University in 2006. Many who know him are not likely to forget in a hurry a man described as the first leading African academic to use social media as a classroom to test out his ideas and engage with Nigeria.